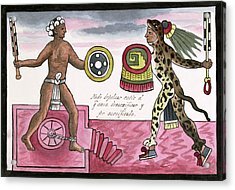 Aztec Sacrificial Fight is a photograph by Library Of Congress which was uploaded on July 24th, 2016. Aztec sacrificial fight, 16th century. Illustration of a sacrificial victim (left) fighting a warrior clothed in jaguar skin (right) with war clubs and shields. 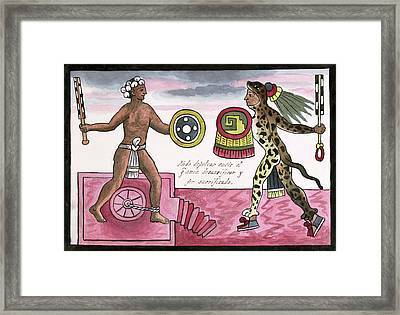 This rite was celebrated on the festival of Tlacaxipehualiztli in honor of the god of agriculture, death, rebirth, and the seasons. 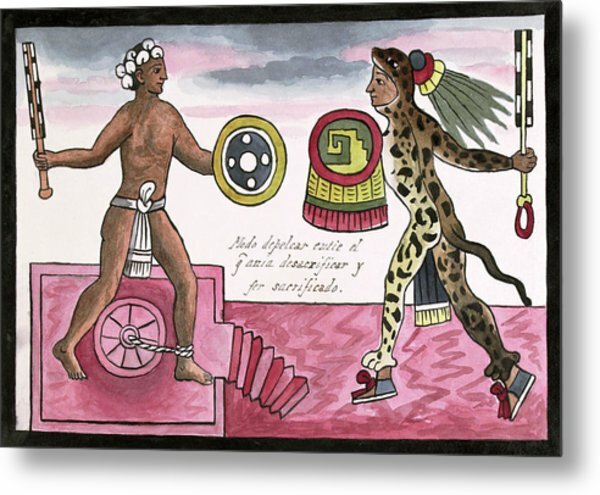 The victim was tied to the temalacatl (an altar stone) and once defeated was flayed and eaten. 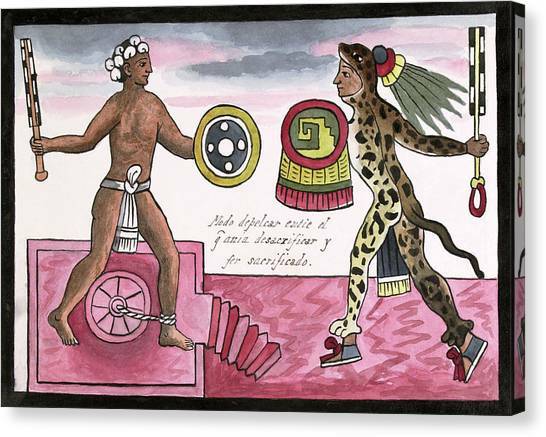 The Aztec Empire (ruled by the Mexica) was an alliance of three city states that ruled in central Mexico from 1428 until their defeat by Spanish conquistadors in 1521. 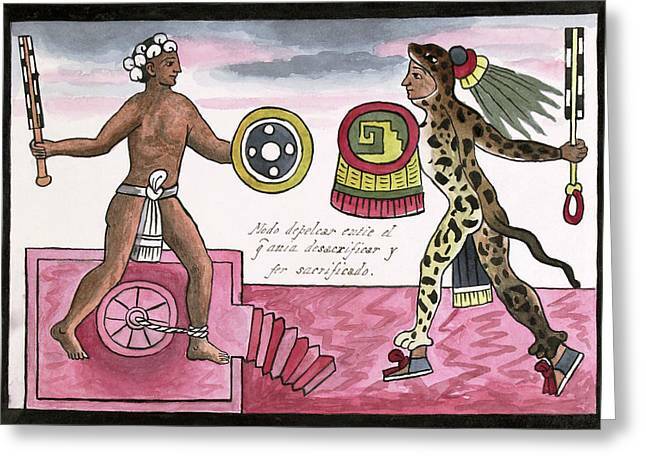 Artwork from a 19th-century copy of a 16th-century post-conquest codex and history of the Aztecs by Jesuit missionary Juan de Tovar. 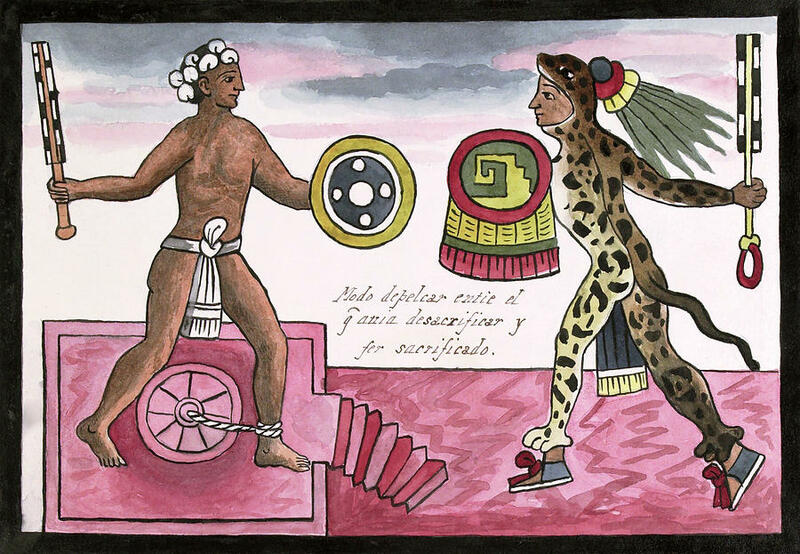 There are no comments for Aztec Sacrificial Fight. Click here to post the first comment.